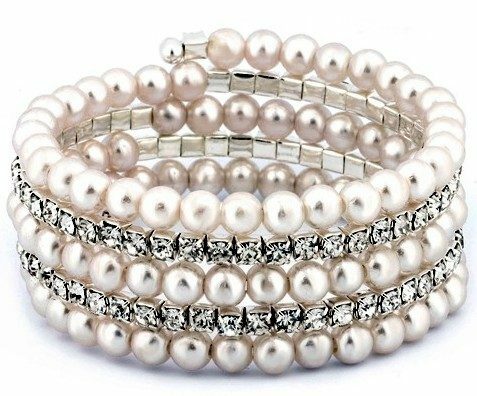 Pearl Multi-Row Stretch Bracelet Only $12.99 Plus FREE Shipping! You are here: Home / Great Deals / Pearl Multi-Row Stretch Bracelet Only $12.99 Plus FREE Shipping! This sensational bracelet is designed with rows of cultured freshwater pearls that are accentuated with flawless Swarovski Elements crystals; it sparkles to sheer perfection! This fabulous Pearl Multi-Row Stretch Bracelet is Only $12.99 Plus FREE Shipping! Check for other great deals at GearXS!